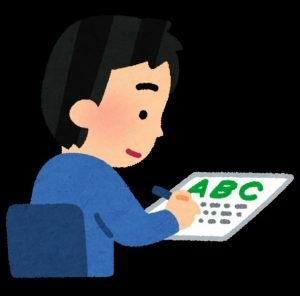 特定の言語項目の使用を困難だと考えて、それを避けて別の表現法を用いる傾向。例：関係詞を用いることが苦手で、重文を用いる。I have a book which was written by Soseki. →　I have a book. The book was written by Soseki. (1) Subject: The man that kicked the dog is my father. (2) Direct object: The tree that the man cut down is very old. (3) Indirect object: The man that she cooked the cake for is my father. (4) Object of preposition: The house that she lives in is very old. (5) Genitive: The dog whose owner has died is barking. (6) Object of comparative: The man that I am richer than is jealous. Copyright (C) 2019 学生と考える英語教育 All Rights Reserved.